How do you turn your new site visitors into loyal readers and customers? That is a hard task, but it’s not insurmountable. Creating a stellar start here page will allow you to control the narrative once a visitor steps foot on your website. Where will you lead them to? 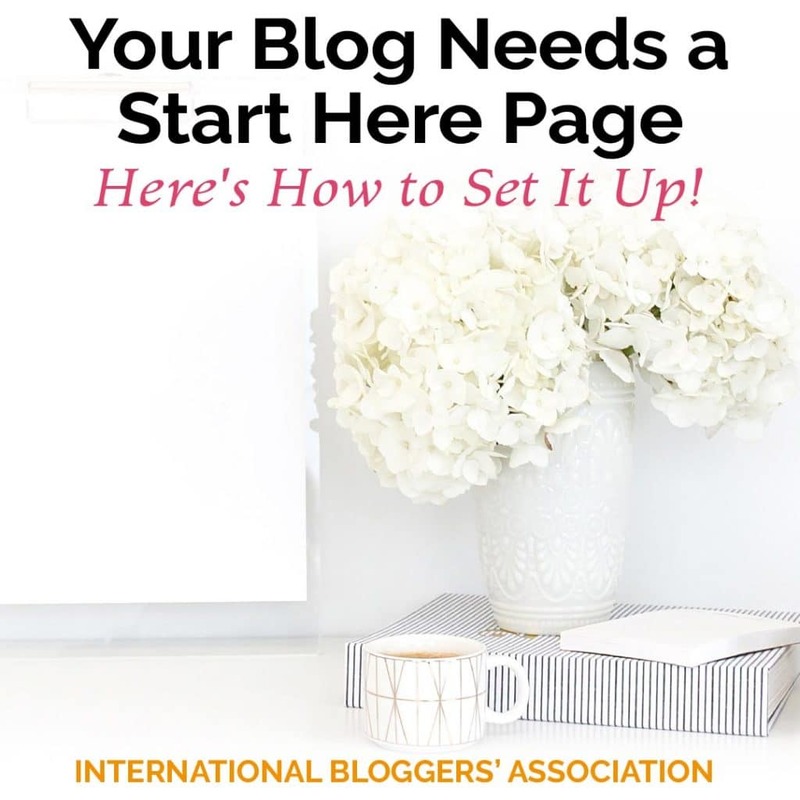 Today’s post is all about why you need a start here page and how to get it all set up! You have seconds – 7 seconds, in fact – to make an impact before someone clicks away. The Start Here page will help pique their curiosity to get them to click and find out more about your site. What can the reader expect to find on your site? Why are you an authority or resource on those topics? This page will give first-time visitors a chance to quickly assess whether they want to be part of what you’ve built. If you want to work with brands and strategic partners, the Start Here page will help them determine if you would be a good match. Brand reps go looking for influencers, and you want them to find you. Brands know their ideal audience because they spend millions of dollars narrowing down their buying avatars. Take advantage of that work by detailing audience attributes on your Start Here page. 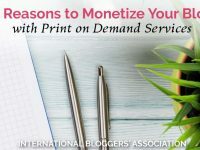 Additionally, partnering with other bloggers can lead to income, opportunity, and authority building. By clearly detailing what your site is about and to whom it focuses on, you are more likely to have others reach out to you for collaborative projects. Where is your blog’s list of accomplishments? Were you republished on HuffPo? Did you get an original piece cited by a major news program or online magazine? 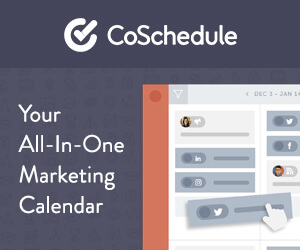 Indicate your features, and you’ll add instant social proof. Your Start Here page can also be a sounding board for your most popular content and the content for which you’re most proud. When combined with the benefits to the reader, the highlight reel of your site can open doors and gain new fans. What Should Be On Your Blog’s Start Here Page? Sidebar on a Start Page: Yes or No? I get asked about this A LOT, so I’m going to start the discussion here. I prefer my non-blog pages to be full width without sidebars. That’s a personal choice mixed with a bit of conversion and user experience tidbits. My advice (read this as opinion) is to remove the sidebar and any distractions (popups) from the page. Your goal is to help them decide if you will be a good match for them, not get a couple of ad views. A reader should be able to quickly determine the primary topics. Don’t make “cutesy” names someone would have to interpret. Include a straight-forward topic heading and a clear explanation of your position on the topics. Providing insight into your audience is a good idea for readers so they can relate. Is your audience mothers, budding photographers, teachers, or bloggers? Can you provide any insight into one or two sentences? As mentioned above, these audience attributes can also lead to brand and blogger collaborations. 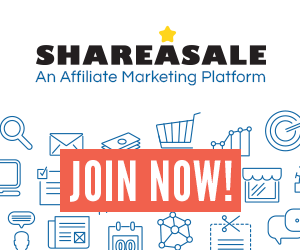 Your email list can be a significant source of income from page views back to your site (ad revenue), product sales, or affiliate promotions. Once you’ve given a visitor some information about your site, ask them to sign up. In blogging, your goal is to become a resource: establish yourself as an authority, provide a safe place for discussion, act as an educational hub, etc. All in all, you’re seeking to be a trusted resource for your readers. Sharing a couple of your products, which help to establish authority, lets your new visitor know you’re creating and sourcing items with them and the problems they want to solve in mind. On ND Consulting, I detail what the site’s focus is: growing a blogging business and increasing income. Clearly communicated on the page are what a new reader can expect to find and some reader favorites to get started. If someone is seeking blog growth tactics, they can quickly tell this is a resource. Courtney has a wonderful example of delivering value with her “Start Here” page. Her FAQ tabbed section details common questions and problems her ideal readers (and potential customers) have with their photography. She delivers tips to solve issues right there on the page, thereby establishing authority quickly. Kim at Life Over C’s delivers a breakdown of resources in a way her target audiences think: by age and topic. They can easily explore an area and quickly identify Kim as a resource. Staying true to her brand, the page is bright, colorful, and offers a plethora of goodies, including popular and recent posts. Jamie’s “Start Here” page details how much she has to offer a new reader. The page starts with a statement of her topics allowing a visitor, in 10-seconds or less, to decide if Jamie’s resources match their needs. Scrolling down, she introduces herself succinctly and provides options for the visitor to immediately get started. Do you have a Start Here page? Will you make any changes to yours or create one after seeing it presented here? Join us in the IBA Members-Only Facebook group and let’s discuss how we can make your Start Here page more impactful. Not a member of the IBA? 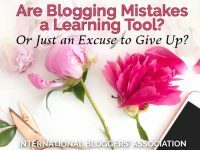 Join the International Bloggers’ Association for only $12 USD a year. 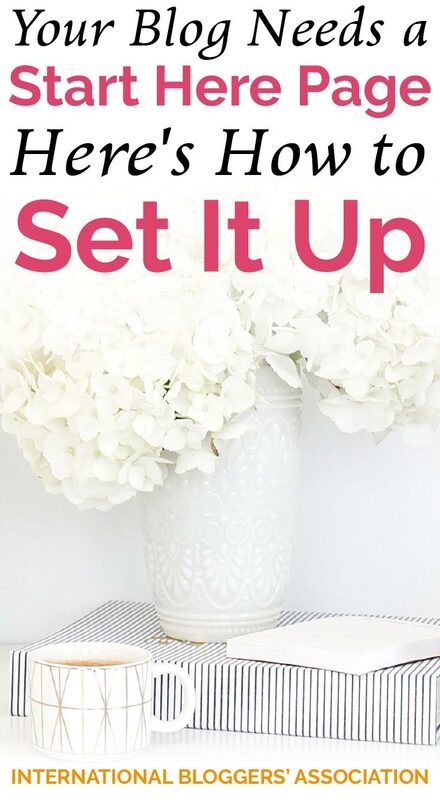 Don’t forget to pin me so you can easily find these start here tips again!